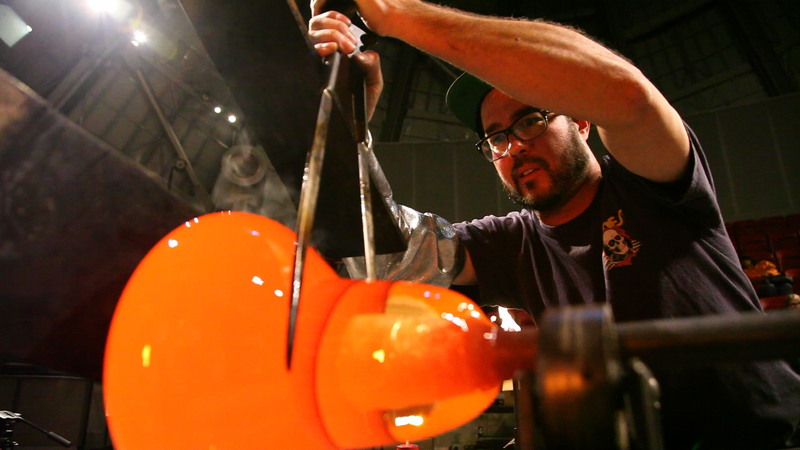 Often found dancing around the Hotshop while wailing along to ‘80s power ballads a member of our glassblowing team, Gabe Feenan, was last week’s Visiting Artist. The self-proclaimed jokester shifted focus during the week from creating pieces for the MOG’s wide breadth of artists to creating his own work. 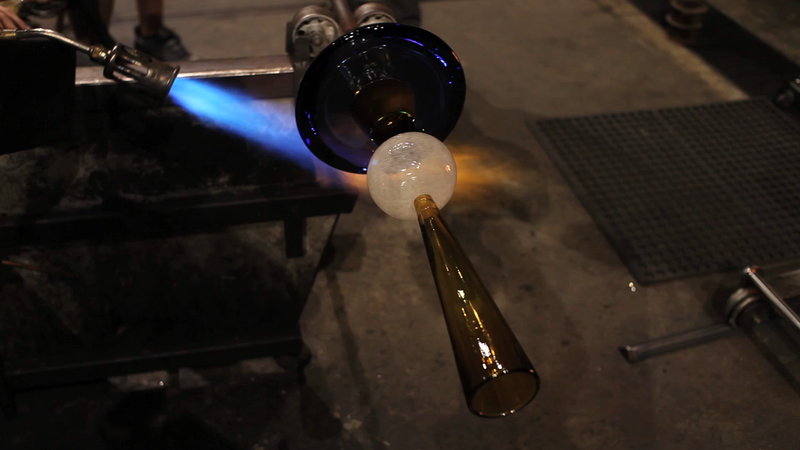 According to Feenan, he happened upon glass art as a profession, but after 18 years it’s plain to see that he hasn’t taken his passion for granted. 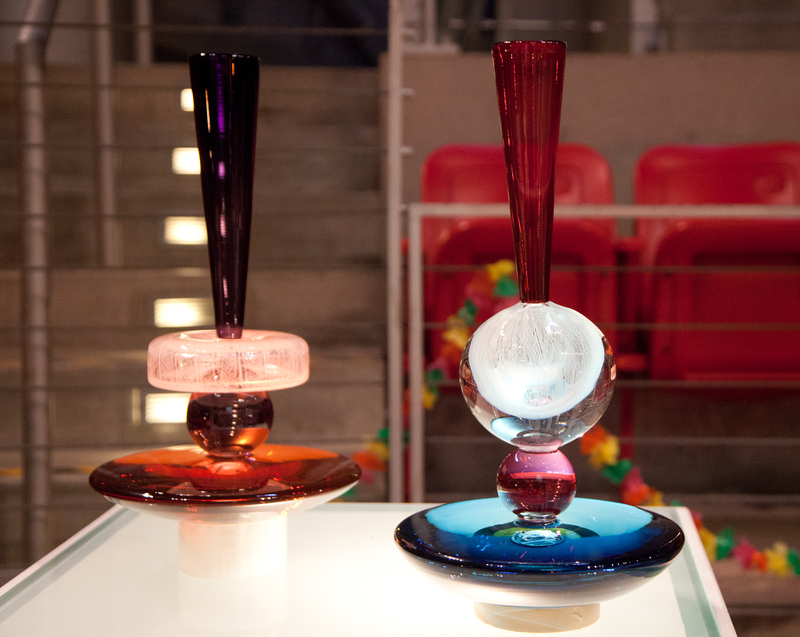 As a member for our team for the last 12 years, Feenan’s had a hand in creating pieces with world-class glassblowers such as Dante Marioni and Lino Tagliapietra. He’s a guy that likes to work hard while always continuing to be a student of his craft. As a continuation of his previous body of work, Center of Gravity, Feenan created modern compositions comprised of blown cane and tightly assembled geometric shapes. His previous work in this series consisted of mostly blown forms colored in earth tones, inspired by the Pacific Northwest; however this week he’s going to experiment with adding more solid forms and new colors, “I’m going to work with a little bit different palate than I’ve worked with in a long time. I’m going to try to brighten it up a little bit,” said Feenan. 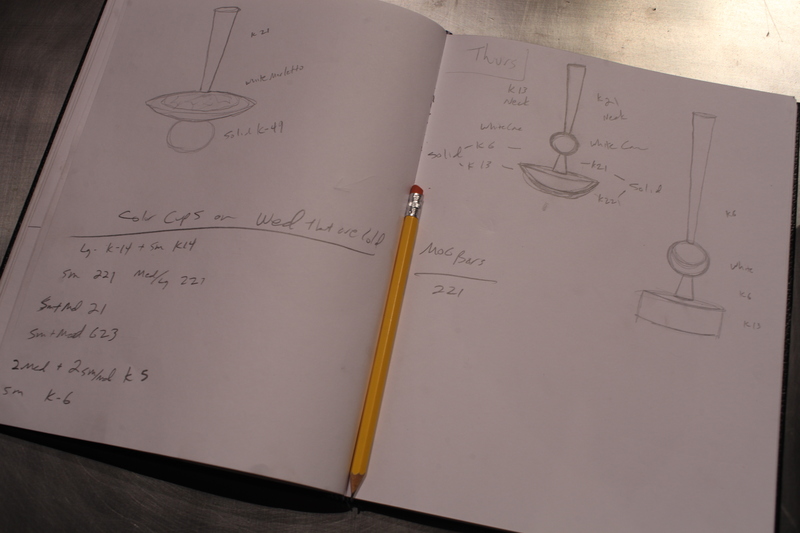 The parts of these sculptures were formed simultaneously using three different teams, then assembled item-by-item by Feenan in a delicate process. The work involved in creating these pieces was misleading, in relation to their design, because although they seemed simplistic in nature once finished they took about three hours to complete on the floor. Feenan felt fortunate to be working with his co-workers and friends to complete these pieces. The blowers who assisted him during the week have a combined glass working knowledge of close to 100 years. 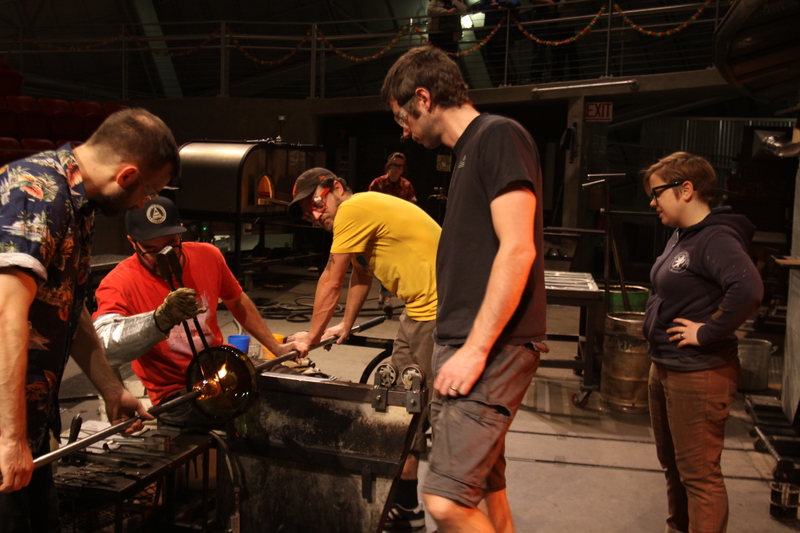 Three of whom blow glass with Feenan five days a week and operate more as a family; we saw some great work out of Gabe Feenan and his team this week. To see more sculptures from Center of Gravity Feenan currently displays his work at the Vetri International Gallery in Seattle, WA. This entry was posted in Art, Artists, Hot Shop and tagged art, Artist, Gabe Feenan, glass art, Hot Shop, Museum of Glass, Sculpture on December 17, 2014 by Museum of Glass.